Spacious floor plan, unit all on one level. 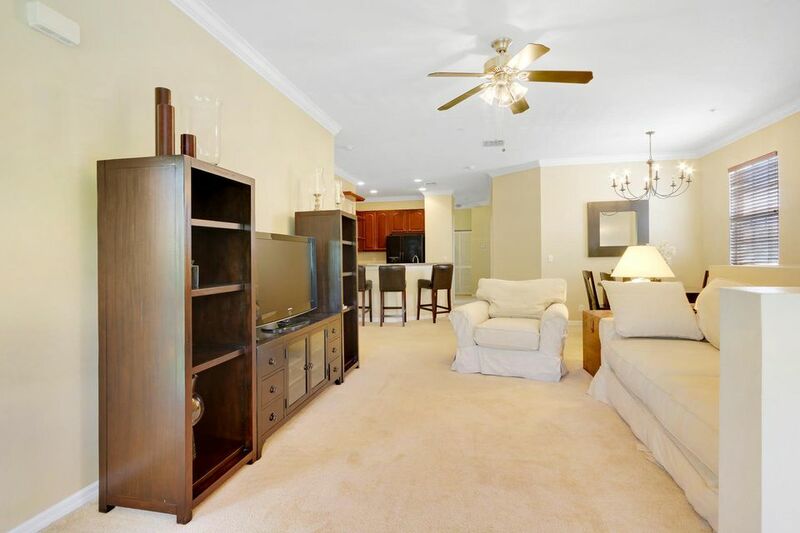 The condo is light and bright as it is a corner unit. Original owner has maintained condo nicely and never rented. Cabinets are upgraded and crown molding was added. AC was replaced in 2014. Quiet and private location in community. One car garage is hard to find in this price category. Community pool and tot lot centrally located. Close to beaches, boating and golf!